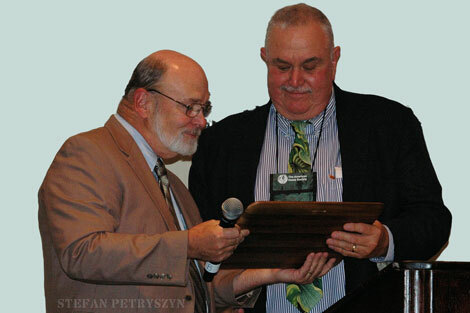 The Alex J Summers Distinguished Merit Award is given to a member of the Society in recognition of their having given outstanding service to the development of the genus Hosta, the Society, or both. 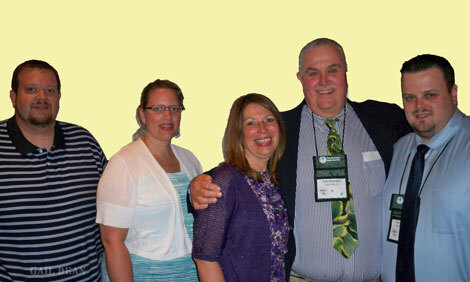 Tom Micheletti founded the Northern Illinois Hosta Society and served as its first President. He has been the Director of Region 5. 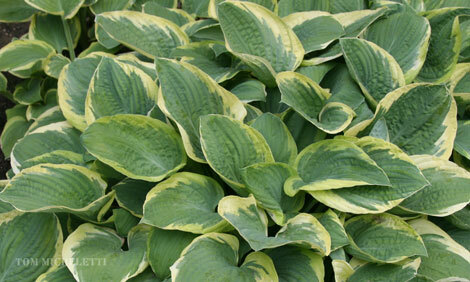 Tom has hybridized hosta and registered seven introductions. 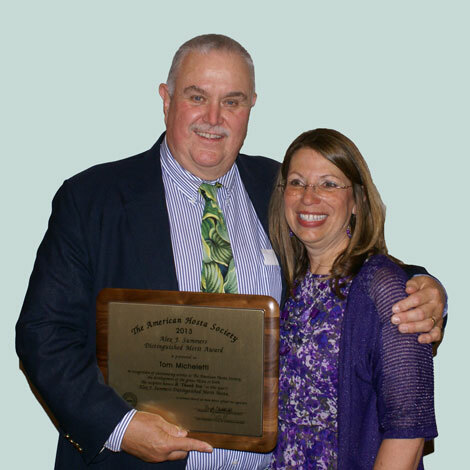 He has served on the Board of the American Hosta Society as VP The Genus Hosta, VP Member Services, as President from 2007 to 2011 and for two years as Immediate Past President. In total he has been on the Board for 14 years. For 16 years he also had been organizer and chair of the Winter Scientific meeting, a welcome Hosta Break during the hosta dormant period.